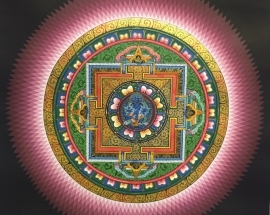 Mandalas are works of sacred art in Tantric (Tibetan) Buddhism. 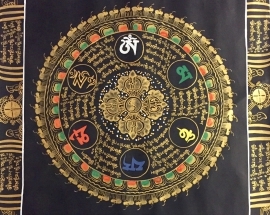 The word “mandala” comes from a Sanskrit word that generally means “circle,” and mandalas are indeed primarily recognizable by their concentric circles and other geometric figures. 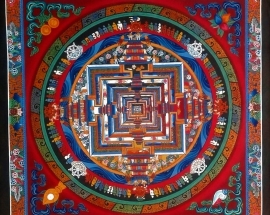 Kalachakra is a Sanskrit word for “Wheel of Time.” It is a complete, elaborately detailed, cosmology. 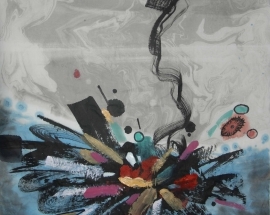 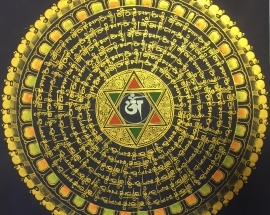 It is founded in a Tantric cosmogony – a traditional sacred explanation of the creation and structure of all. 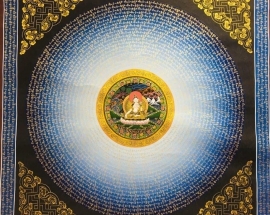 Buddha’s eyes is a symbol of wisdom, happiness, and protection from suffering. 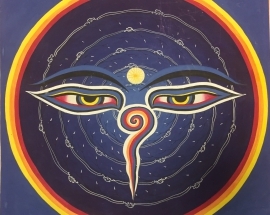 The circle is the symbol of the third eye, the flaming pearl is a spiritual vision. 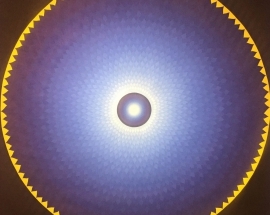 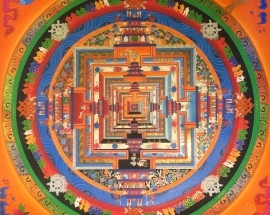 In the center of the mandala we can see the Buddhist deity, blue in color 6 armed and 3 face. 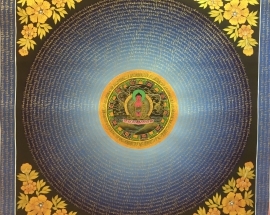 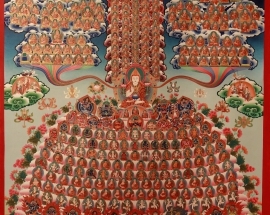 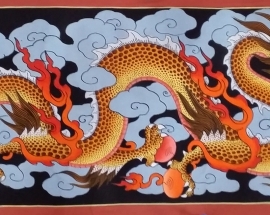 Yellow Jambhala Mantra Mandala is hand painted by Master Thangka artist from Bhaktapur. 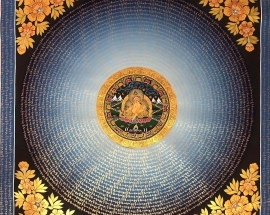 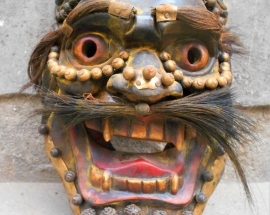 Jambhala is the God of Wealth and appropriately a member of the Jewel Family.